Chic dirndl with matching necklaces to combine style. Traditional dresses give their wearer along with tasteful accessories the right look. The velvet necklace with a heart from the house of Schuhmacher set in radiant marine can be harmoniously combined with the dirndl colour. 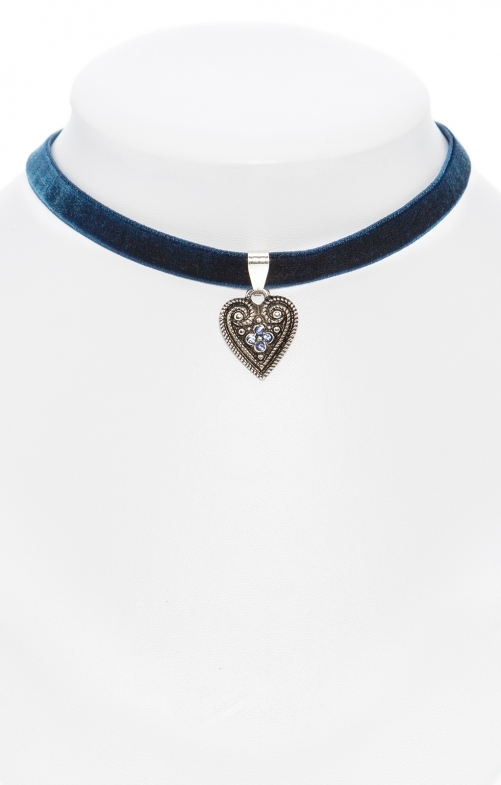 A special eye-catcher is the small, nickel-free heart pendant with blue rhinestones.